This statistic displays the top BBC radio stations ranked by time spent per listener in the United Kingdom (UK) as of quarter four 2018. 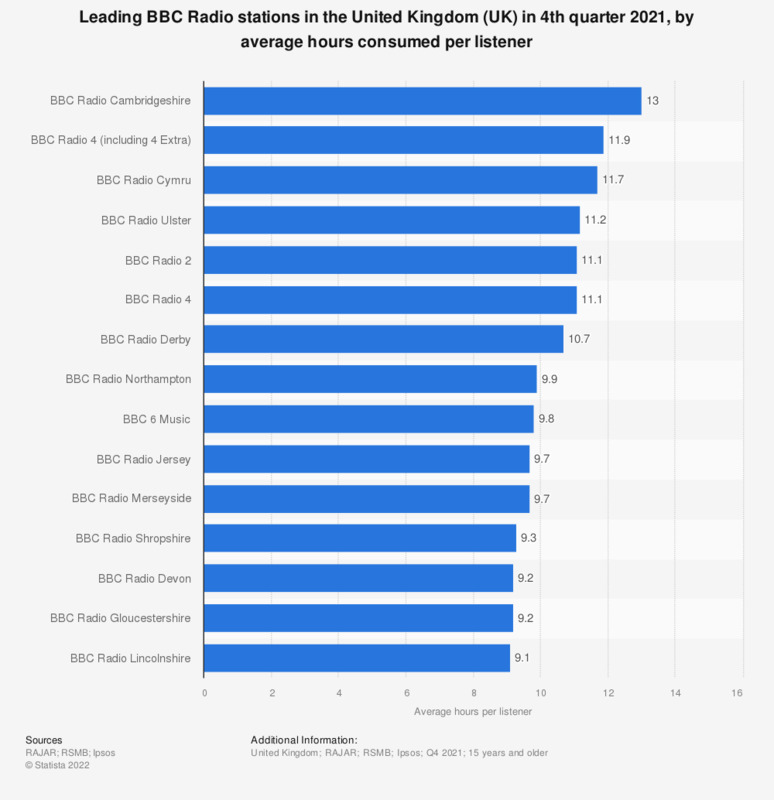 That quarter the station BBC Radio Lincolnshire ranked first in terms of hours spent per listener with an average of 14.5 hours weekly per listener. * The source provides the following commentary: "The average length of time that listeners to a station spend with the station. This is calculated by dividing the Weekly Hours by the Weekly Reach."